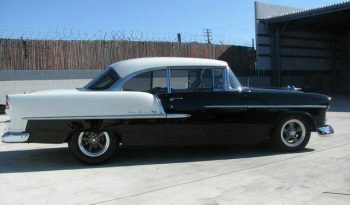 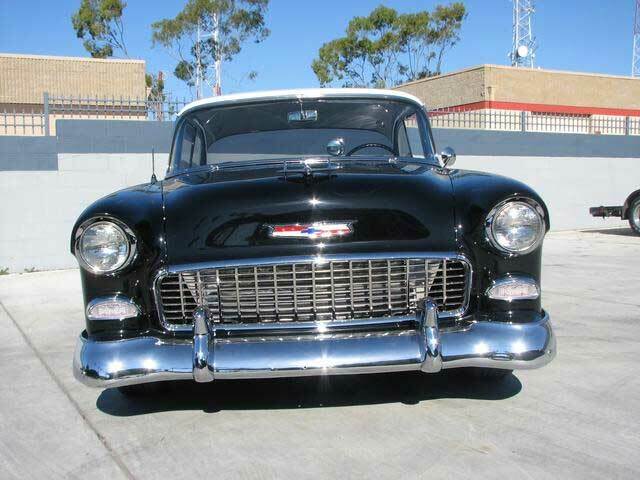 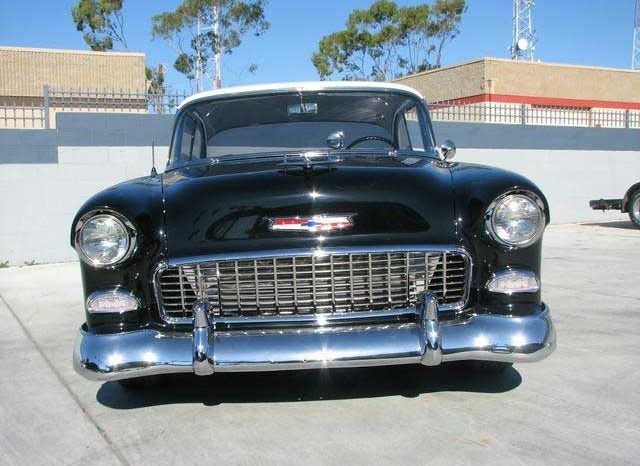 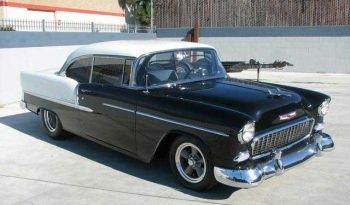 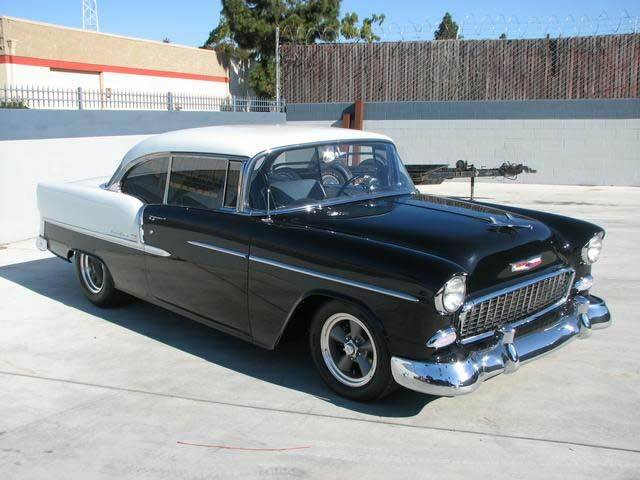 1955 Chevrolet Pro Touring 540 CU IN Motor, Art Morrison Chassis, Willwood brakes, Frame off Show Car. 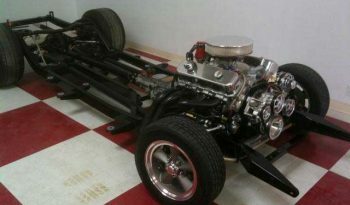 Professional build by Hart Hot Rods in Ventura, Ca.. Strait forward, traditional Hot Rod look with today’s most sophisticated High end parts. 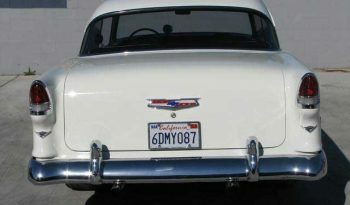 Highlights include Art Morrison chassis, Quality, strength, and engineering makes the car stop, steer and handle as well as your Sports car. Simply one of the best chassis you can buy! 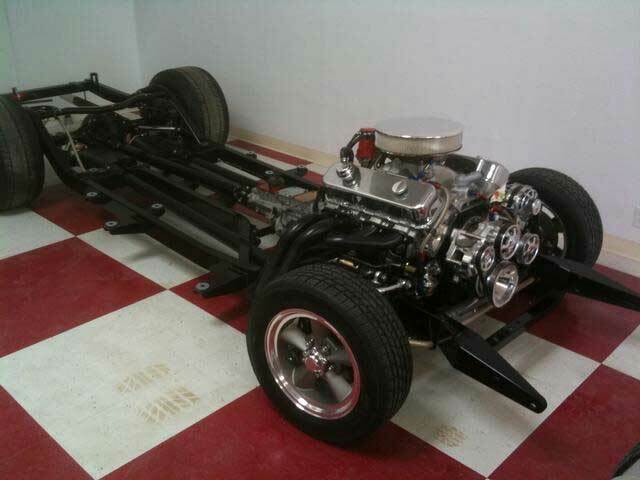 Independent Front Suspension, Power Rack and pinion, 20:1, adjustable Strange Coil overs on all 4 corners, Front and rear anti sway Bar, 11” Willwood Brakes, AME rear tri 4-link, stainless steel brake lines, Strapped back 9” Ford housing Strange N iron 3rd member, S/S 31 axels, 4:11 Detroit Soft Locker Posi. 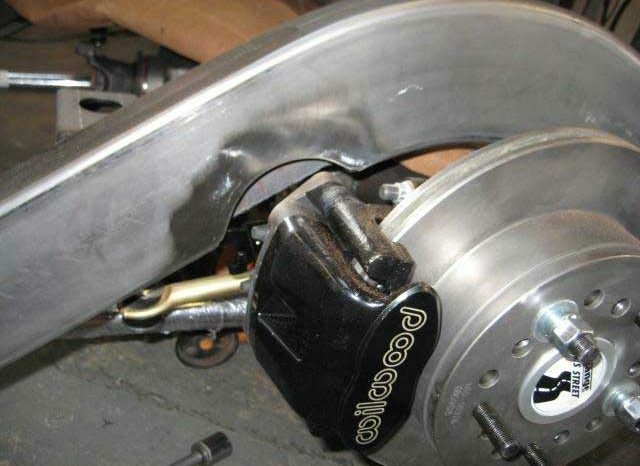 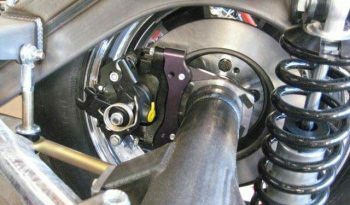 The very best Bosch Hydro-boost brake system to give you the same great hydraulic brake pressure constantly all the time. 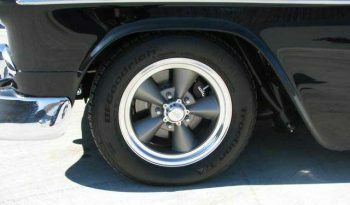 Wheels: 15X12 and 15X6 ET Classic 5 Spokes. 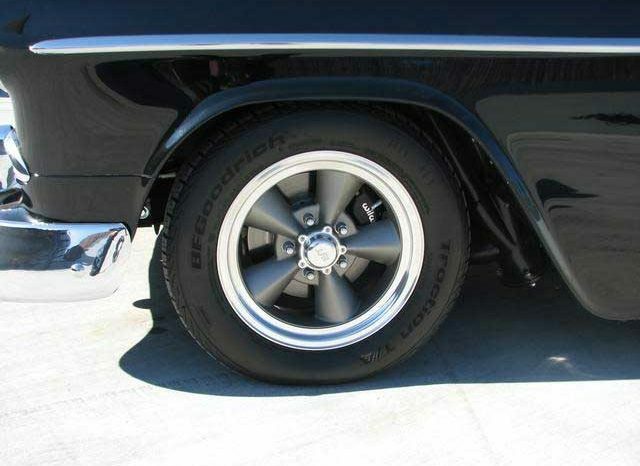 Special care was taken to fit the biggest tire for stock dimension frame, Massive 325/50/15 BFG drag radials in rear, with 205/60/50 BFG T/A’s up front. 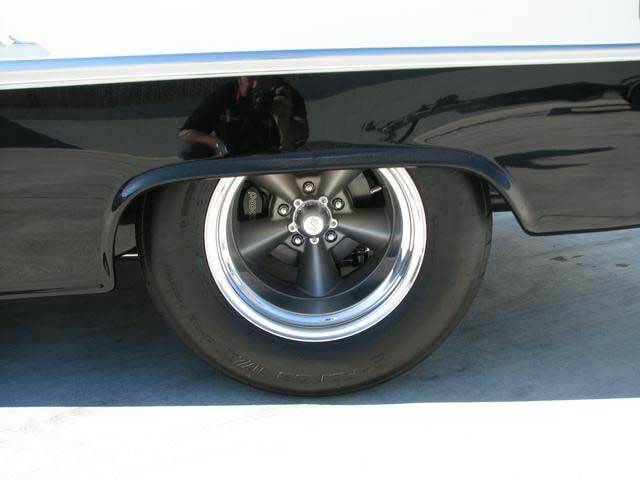 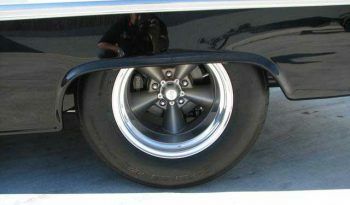 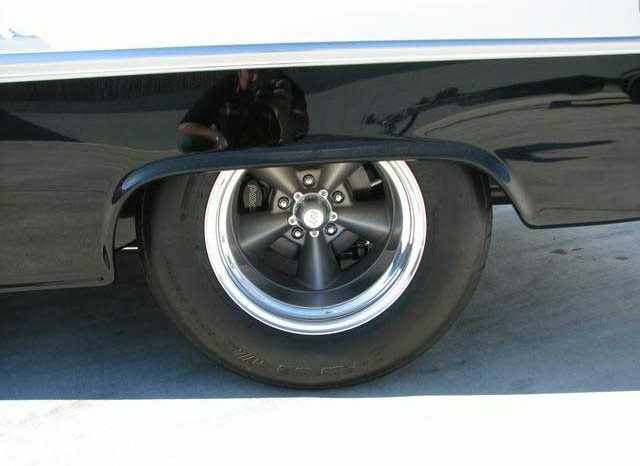 The car was mini tubed to clear the tires in even the lowest ride height. 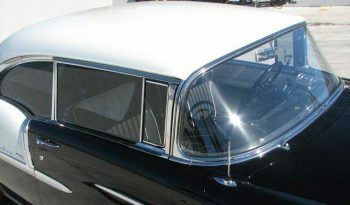 Support was added in the quarter panels and roof to reduce vibration and possible rattles from the very serious power plant. 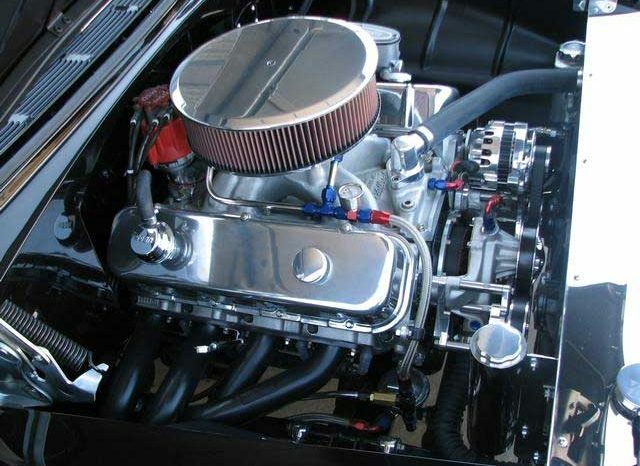 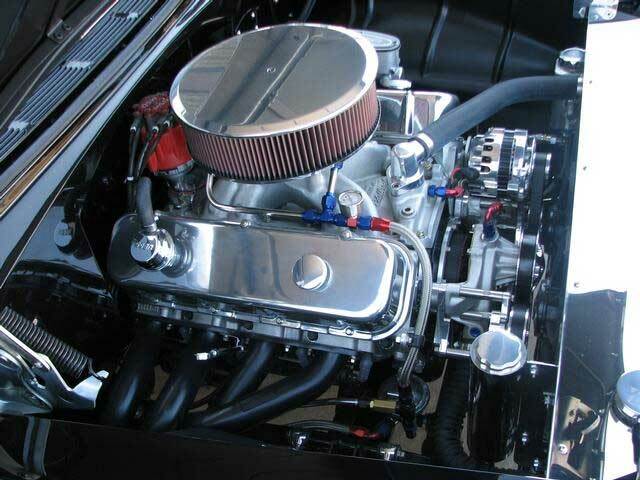 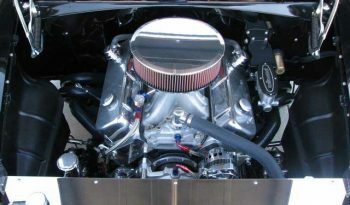 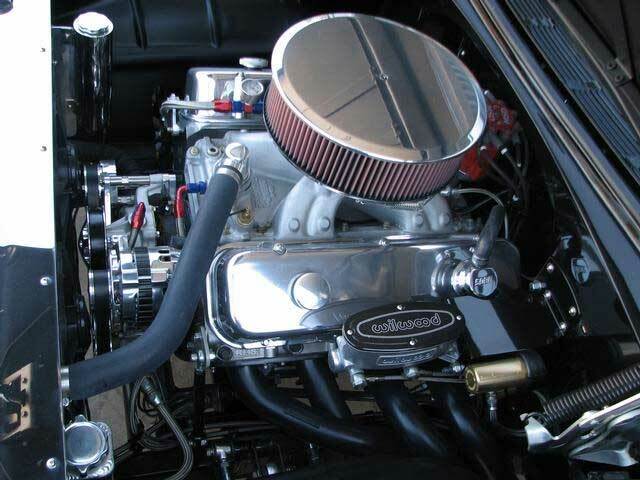 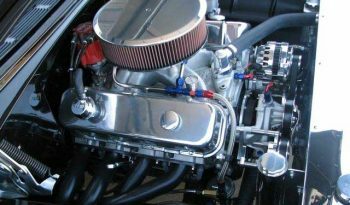 The Driveline: Dale Lambert built 540 CI Dart, Big Block Chevy, RHS – Racing Head Service, Aluminum heads, belt driven adjustable cam, special built 960 CFM Holley by C and J engineering, Full MSD IGN., Pan Vac, Billet Specialties Drive, 35K in the engine alone. 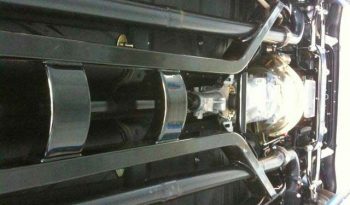 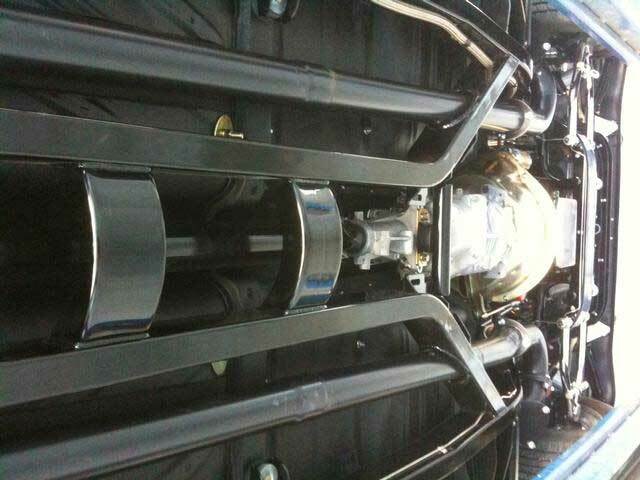 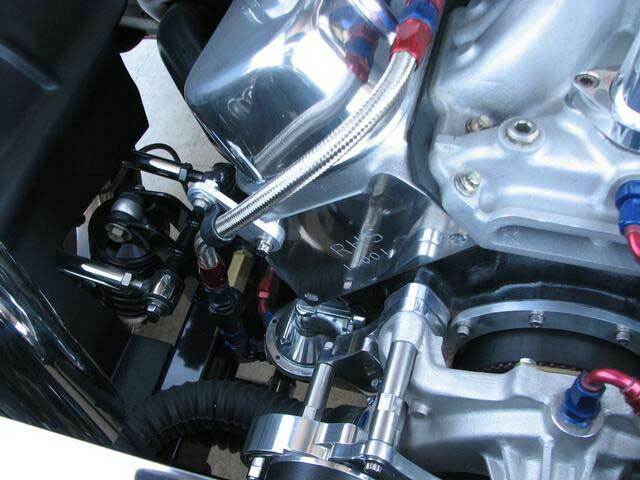 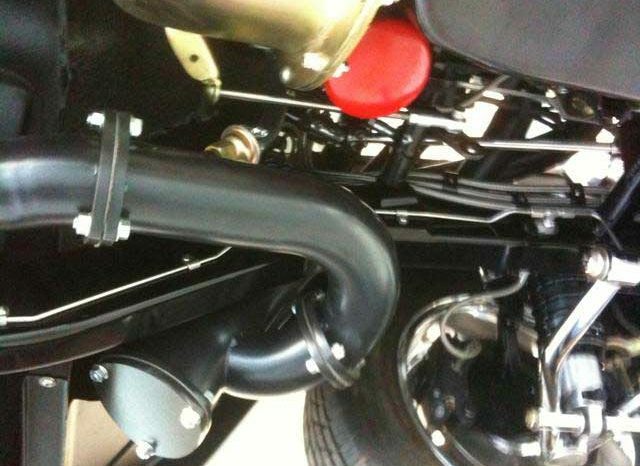 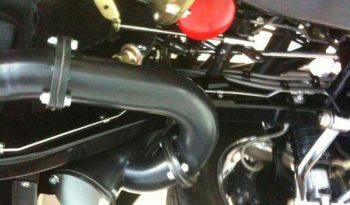 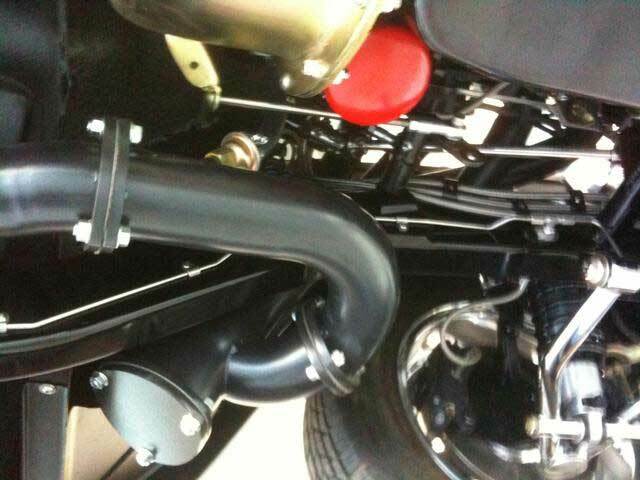 Custom built mandrel bent and fully ceramic-coated exhaust system. 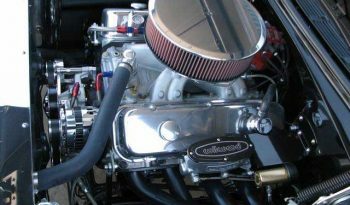 Custom one off fender well headers built to cram 4 massive 2.25 primary header tubes to an collector that can be uncorked, from there after 3” tube through Flowmaster 44’s out the back ending to an seamless polished stainless end, This 540 runs every day on pump gas, idles like a dream but make no mistake. 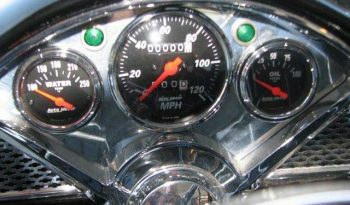 it will take a special driver to hold the throttle wide open for any length of time and pulls like a freight train throughout the entire RPMs. 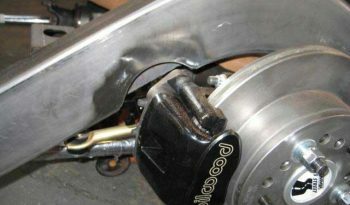 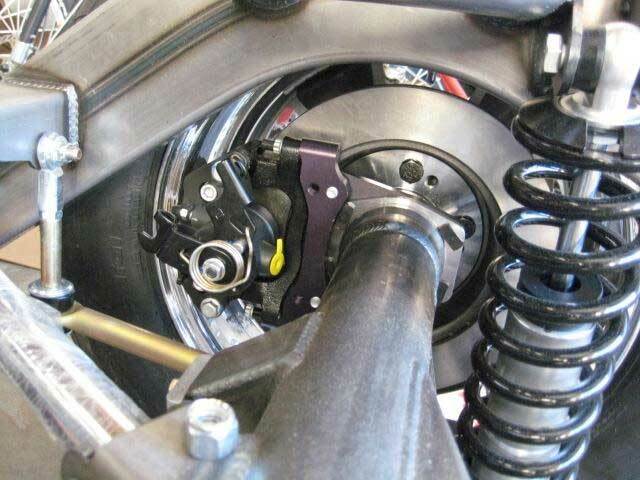 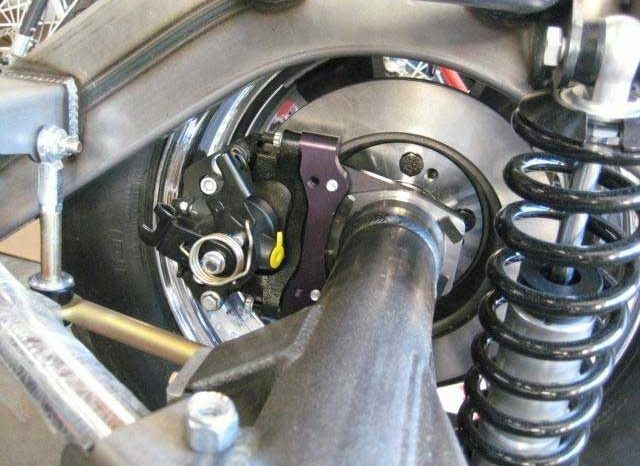 Shifting by Manual, Tremec TKO 600 5 speed, with an .62 over drive, McLeod Full scatter shield and street twin dual disc clutch. 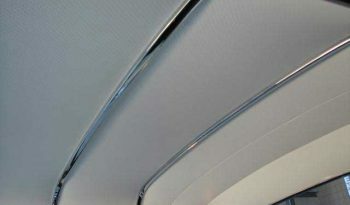 Stainless Steel Fuel tank, plumed 100% AN Stainless with fuel bypass. 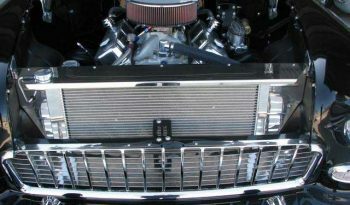 Zero issues with cooling, aluminum radiator and polished core support, fully shrouded twin cooling fans. 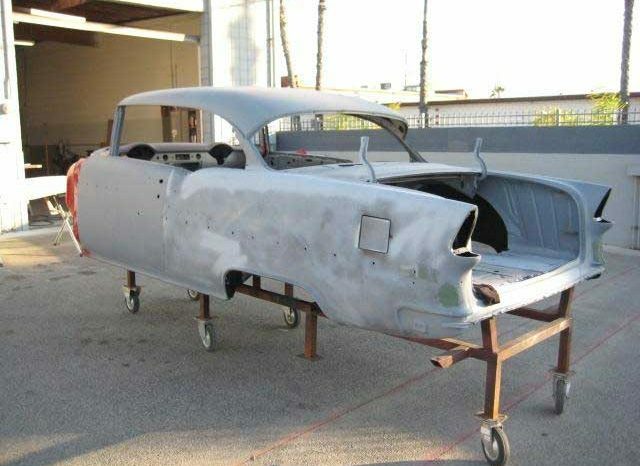 Zero rust in this CA. car, not one patch panel and never hit, all original sheet metal. 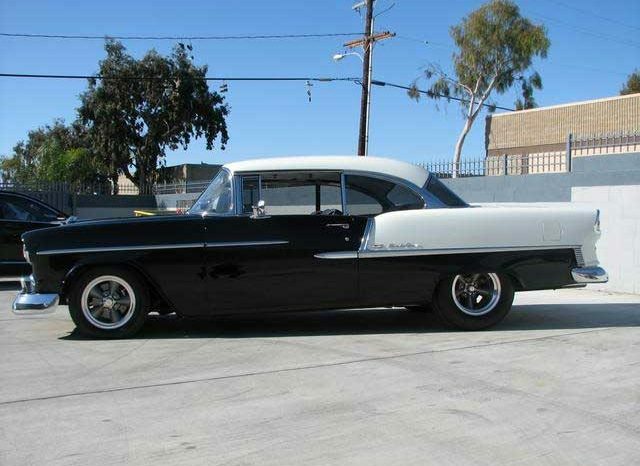 Painted classic Black/White two tone by Bob Moon. 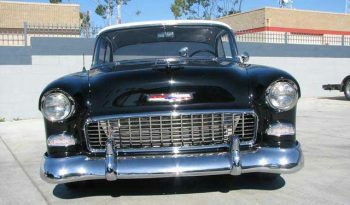 The car was taken down to the bare metal, all chrome, stainless and glass presented in show car quality. The panel fit is second to none. 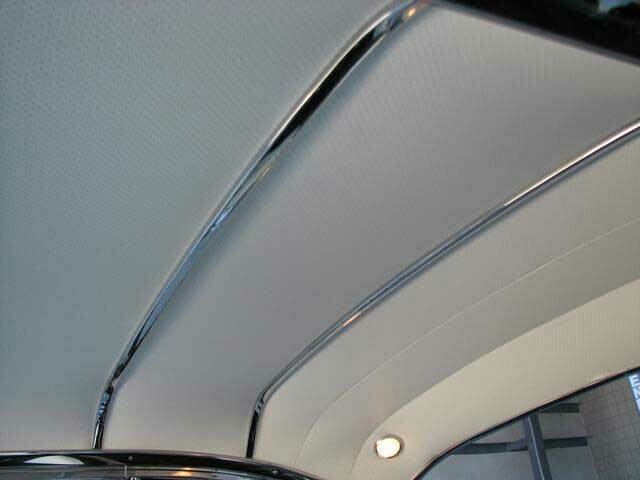 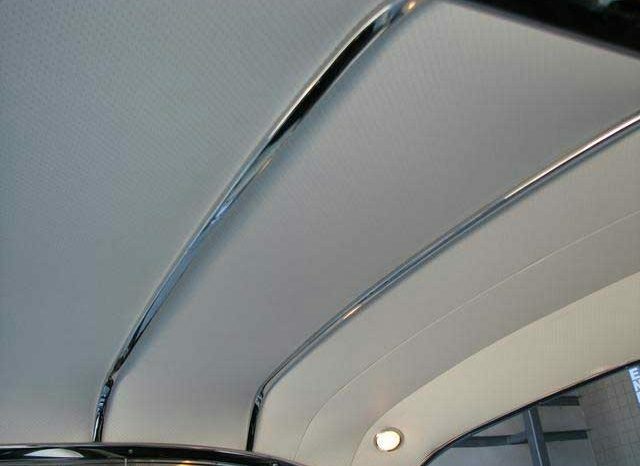 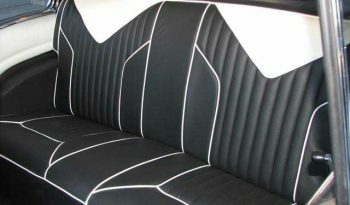 Interior is a blend of classic style with modern piping style of today luxury cars, custom panels built in truck to match interior to a tee. 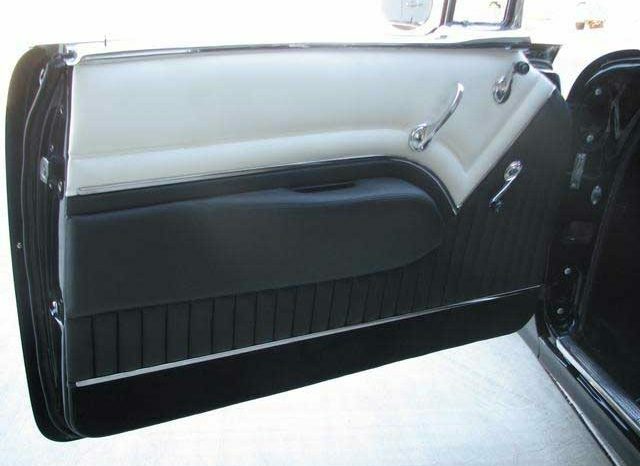 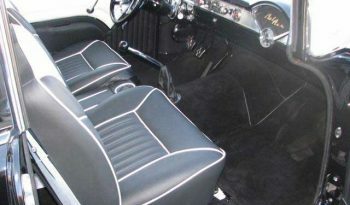 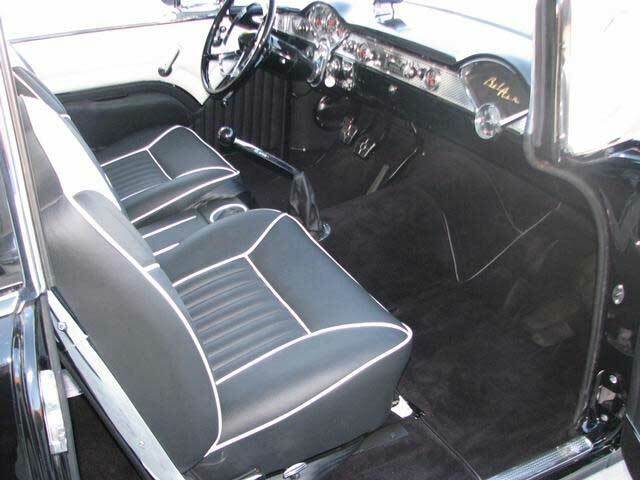 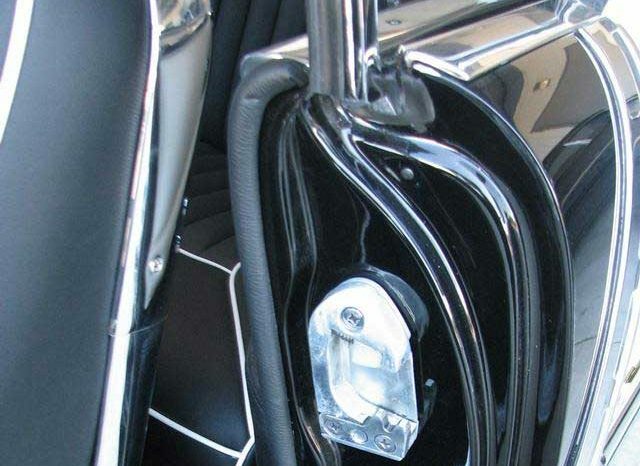 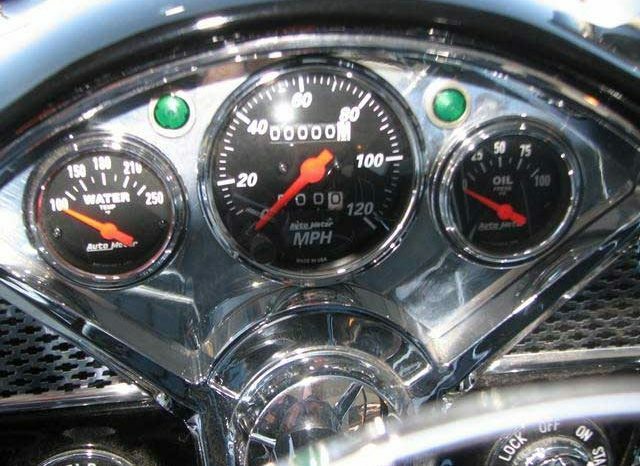 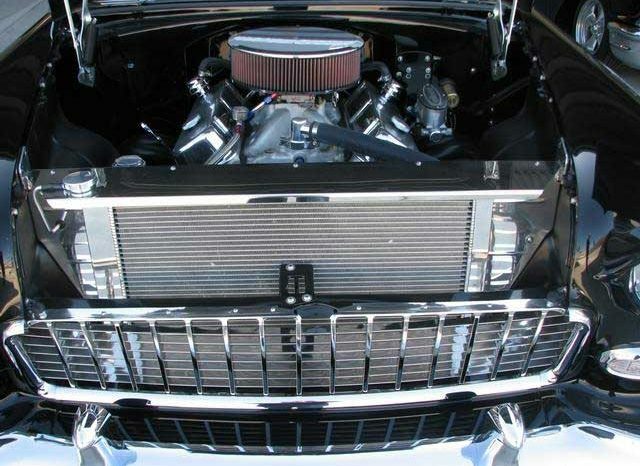 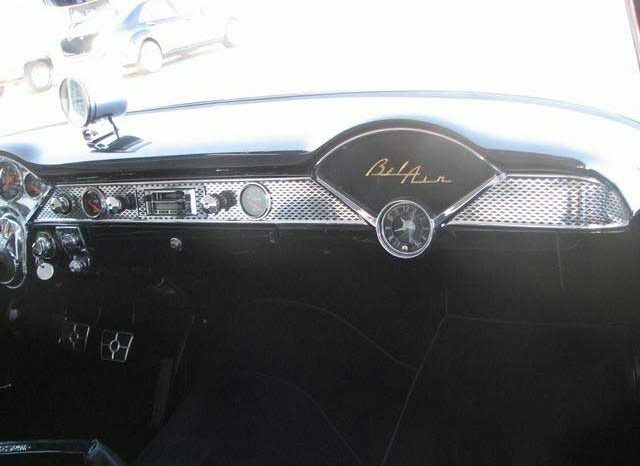 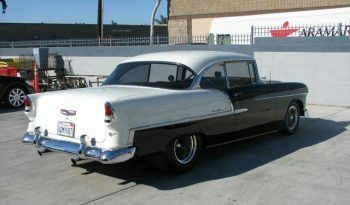 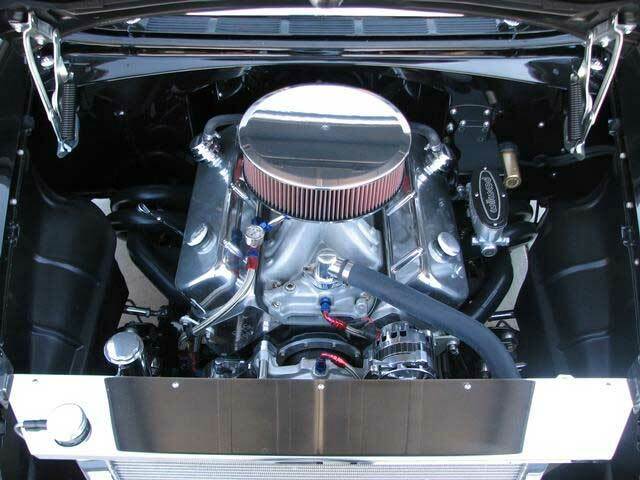 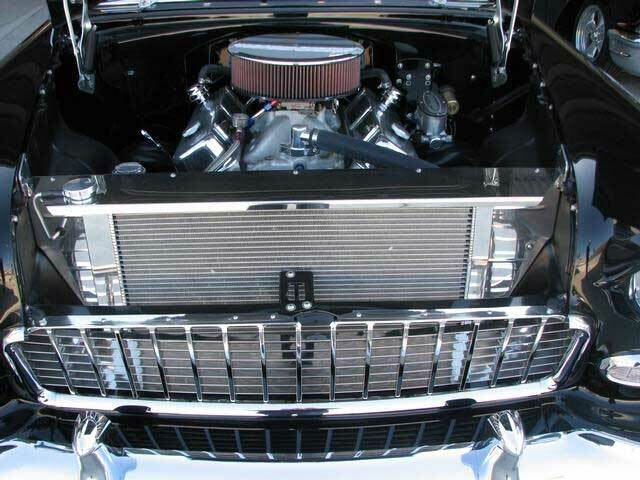 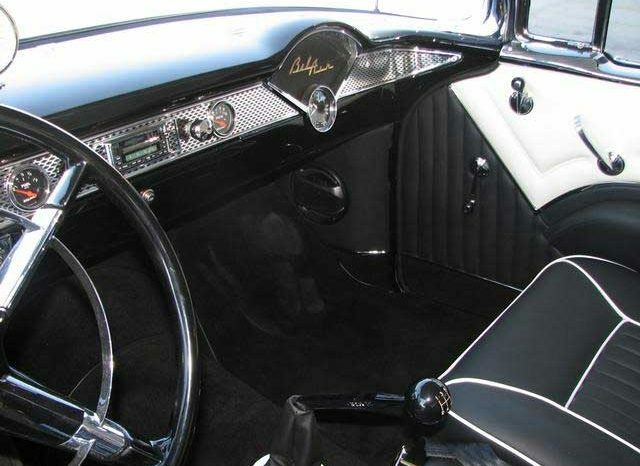 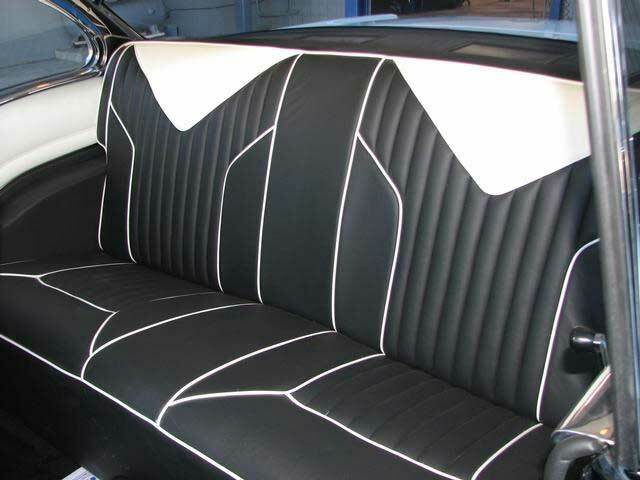 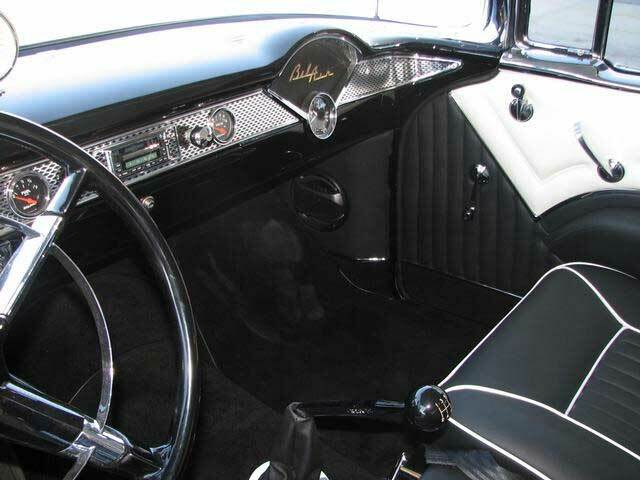 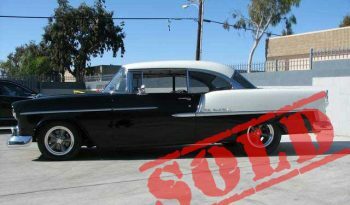 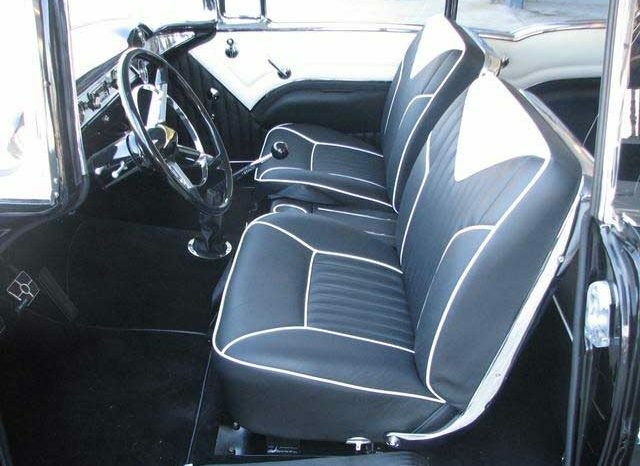 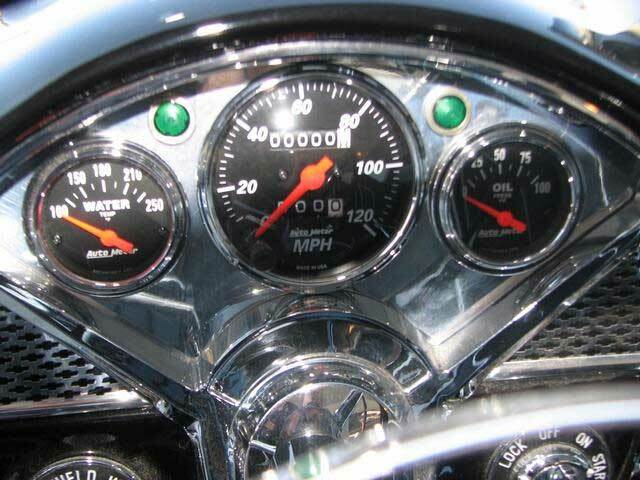 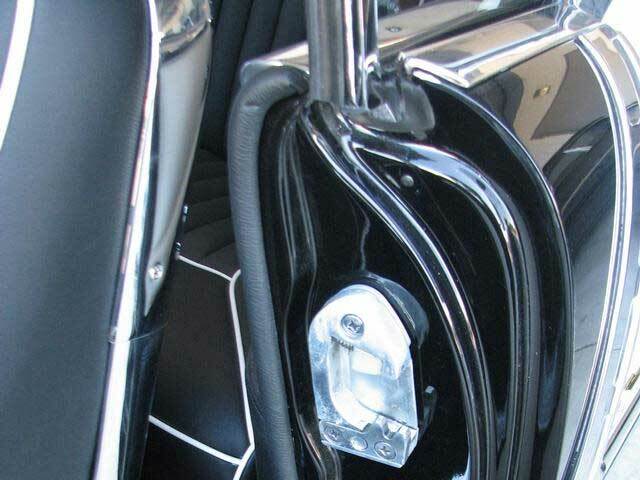 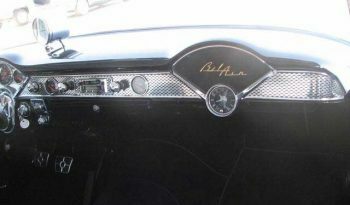 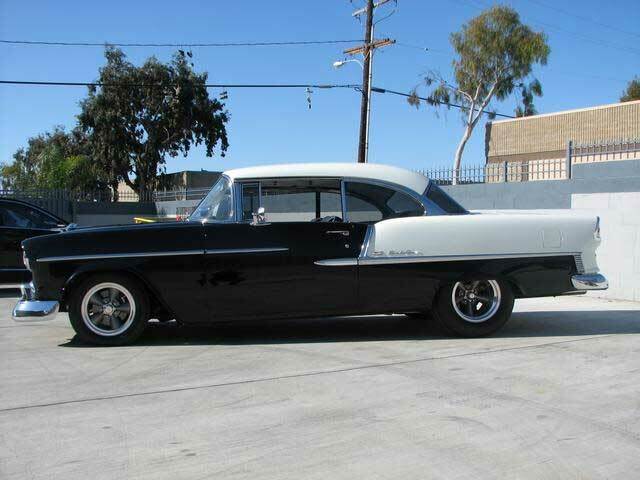 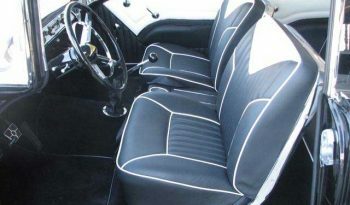 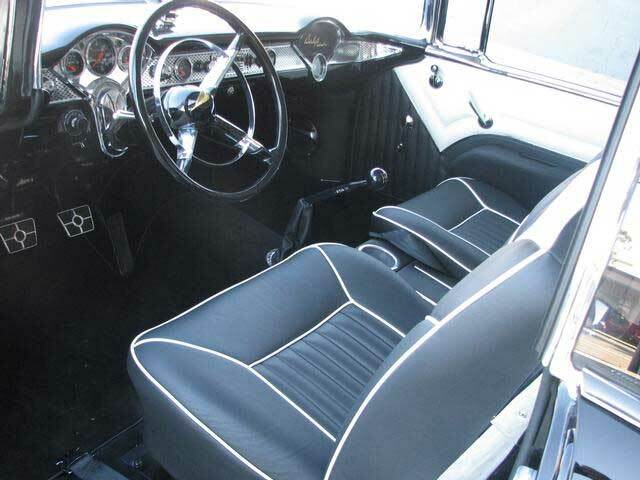 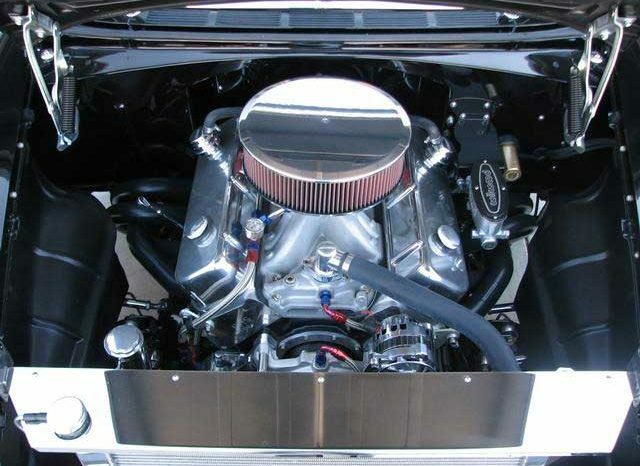 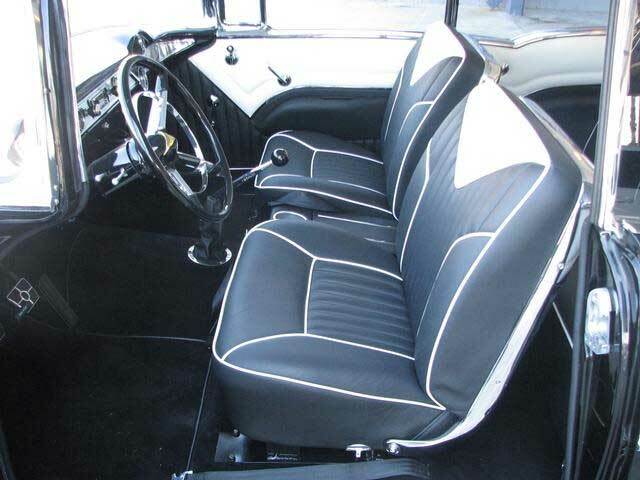 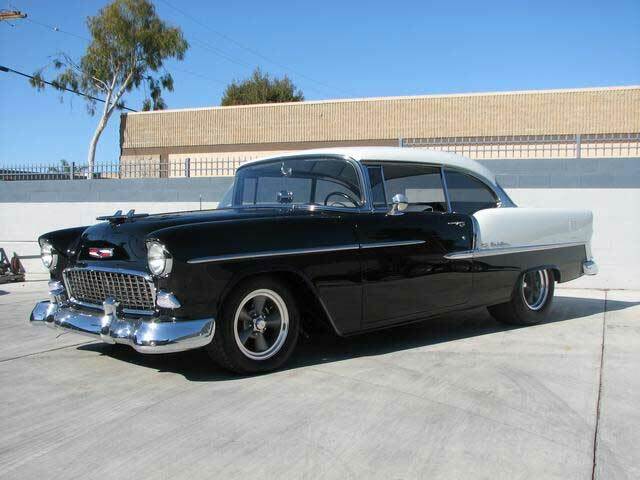 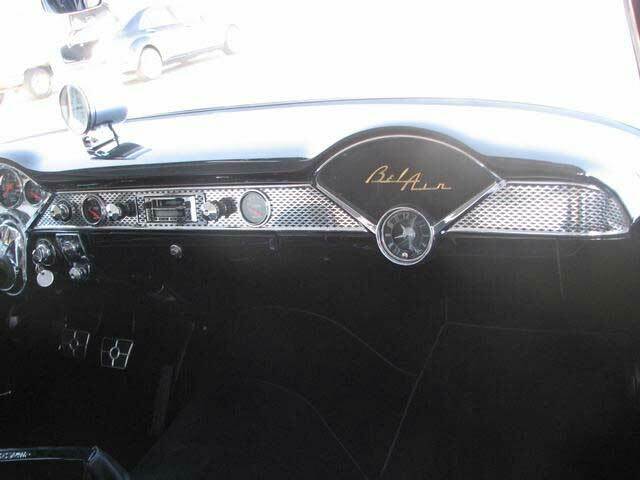 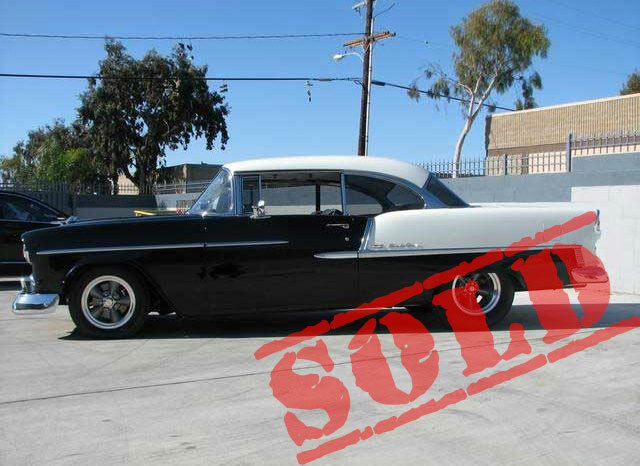 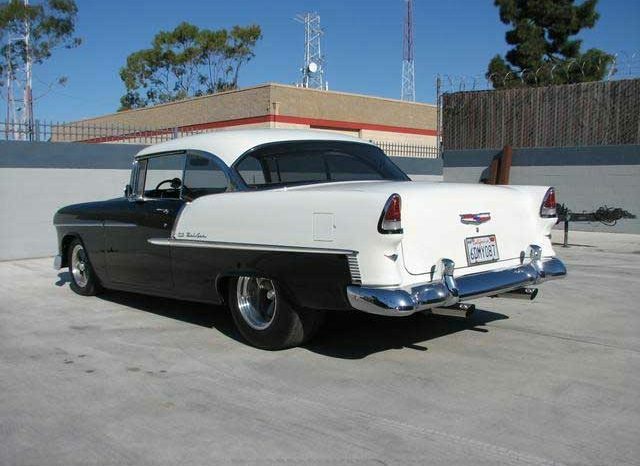 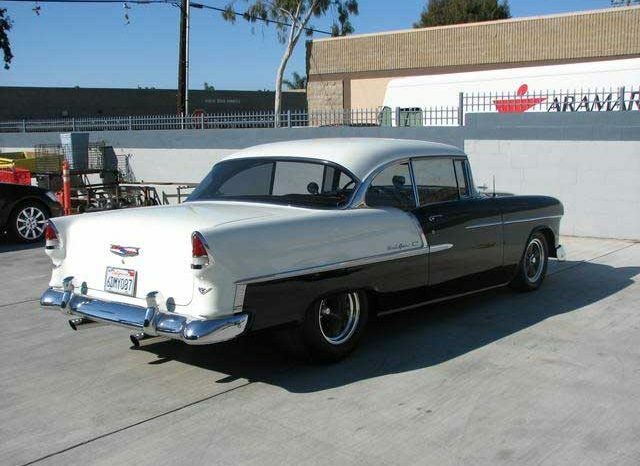 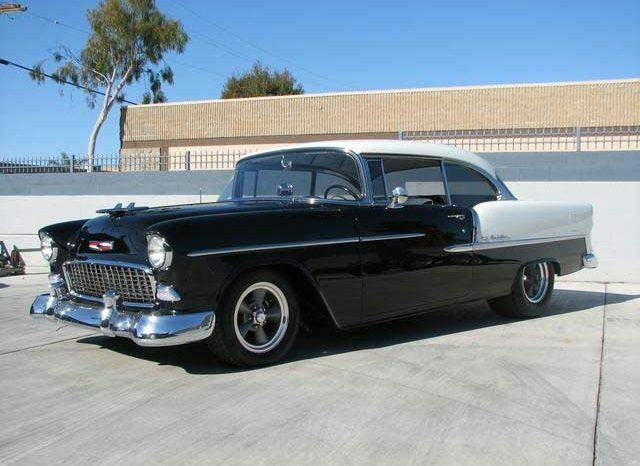 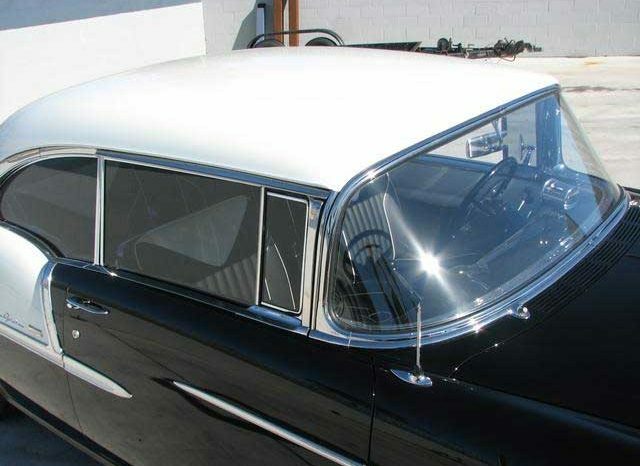 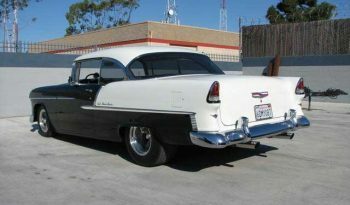 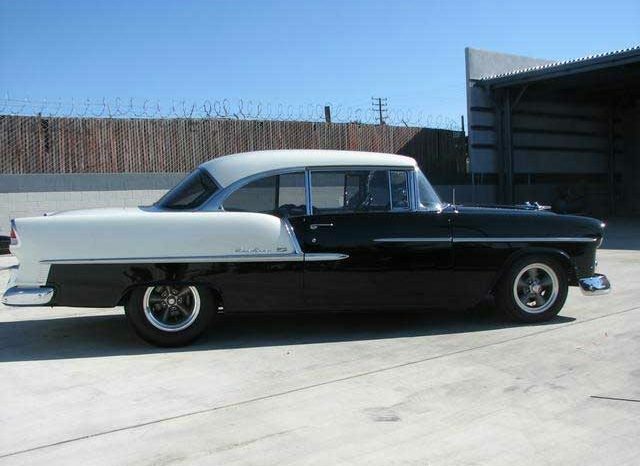 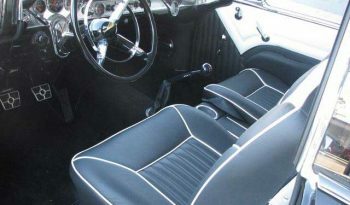 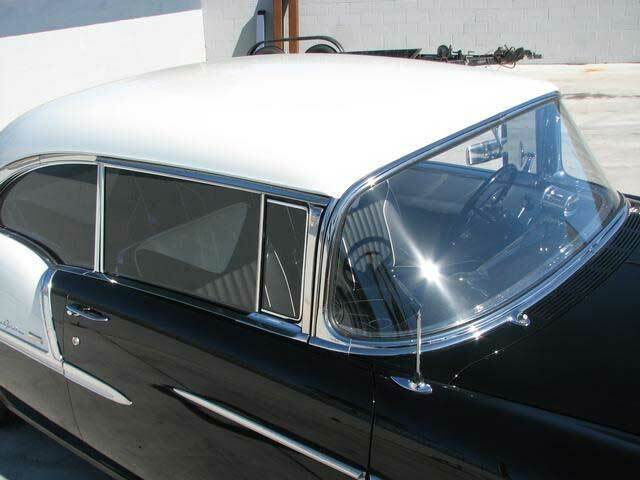 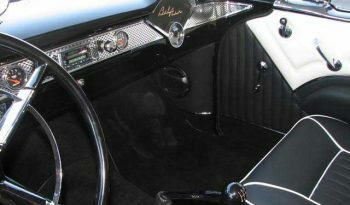 Full BelAir trim, AutoMeter gauges, lots of chrome and the best leather! 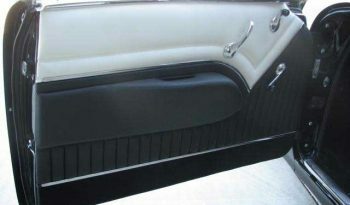 Sub panel in trunk holds battery, audio shut of switch with integrated battery tender in car. 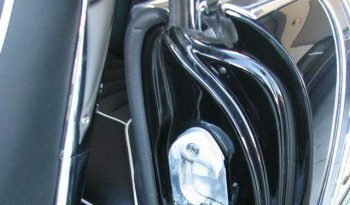 Frame powdercoated black, sanded smooth then lighted recoated with clear power, now just as shinny as the quarter panels, LED lighting… Way too much to list.. 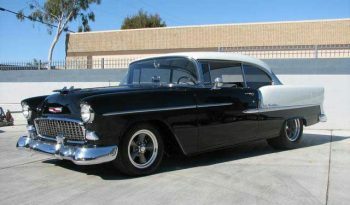 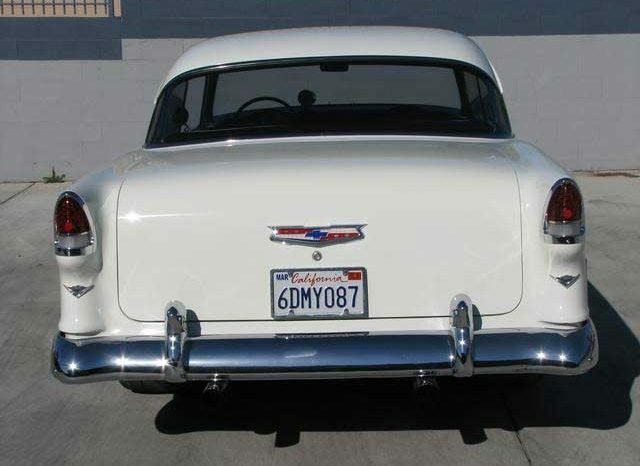 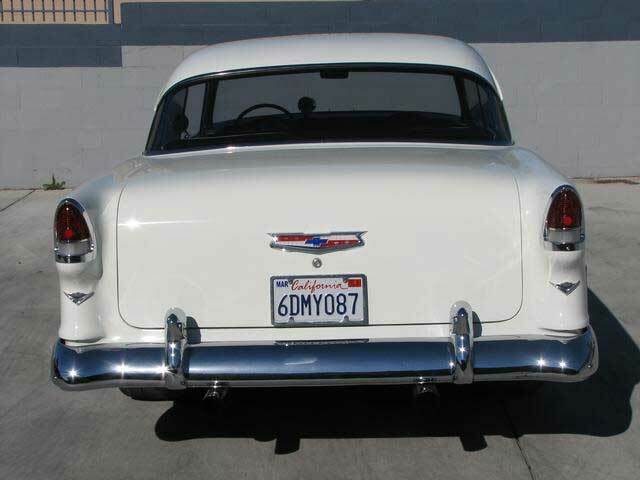 This car is brand new with less than 2 miles, beyond the looks and beauty of this 50’s icon look. 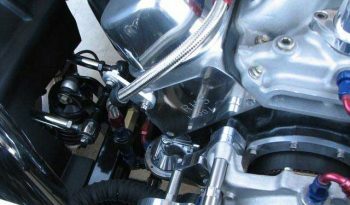 This build was quality with every nut and bolt new, performance and safety before looks… It just happened to end up beautiful as well.. No compromises, you will see and more importantly feel when you drive. 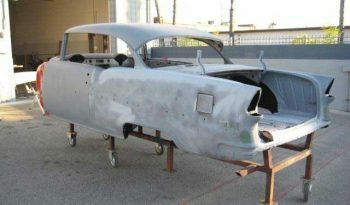 I Have over 150 Photos of the car from start to finish on the restoration.